[tps_footer]Amitabh Bachchan is ready to rule the silver screen with his latest movie ‘TE3N’ which is helmed by Ribhu Dasgupta, produced by Sujoy Ghosh and it features actors of great caliber like Nawazuddin Siddiqui and Vidya Balan. It was reported a lot of times about Salman Khan’s Sultan will face a clash with Shah Rukh Khan’s Raees and now it’s said Raees will clash with Ajay Devgan’s Shivaay at the box office during this Diwali. But, another mega clash was expected because Amitabh Bachchan’s TE3N and his daughter in law Aishwarya Rai Bachchan’s Sarbjit starring Randeep Hooda, Richa Chadda, and Darshan Kumaar is all set to release. But Amitabh Bachchan is not in favor of this clash with his own family member. We know that Jaya Bachchan and Amitabh Bachchan are extremely proud and happy to see Aishwarya married to their son Abhishek Bachchan and will never try to bring any sort of clashes on a professional or personal level. 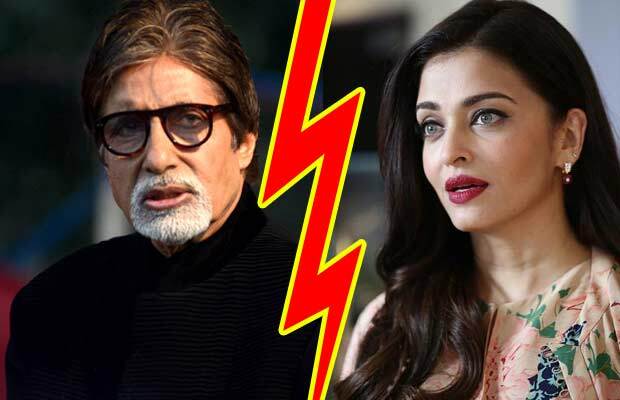 So, it’s said Big B gave a call to Ribhu Dasgupta and Sujoy Ghosh to delay the release of TE3N and avoid the mega-clash for the release of his movie opposite Aishwarya’s movie Sarbjit. It’s a very sensible thought that Big B has expressed if it happens in reality then both the movies will avoid facing any sort of comparisons and their will be no damage to the box office collection of TE3N and Sarbjit. Both the movies can do a good business if they avoid this clash and release on separate dates.